Established in 2013 by fitness instructor Kelly Francis. The self confessed fitness addict fell so in love with running and fitness after vowing to make a change to her lifestyle. With many years of running experience Kelly was keen to pass on her knowledge and passion of running to others. She became a qualified Run England leader with the aim to help those with exercise hang ups overcome their issues, get over the embarrassments of the anticipated judgement of others, and inspire people of all ages and sizes to improve their fitness and live a happier, healthier life. Whether you are a beginner or you have years of experience, one of the best ways to get more out of running is to run with others. 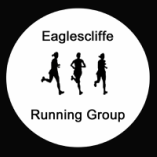 Joining Eaglescliffe Running Group introduces you to a whole new circle of friends, and enables you to add another area to your social life. Being part of Eaglescliffe Running Group really can do wonders to keep you motivated when you feel like giving up, and the encouragement from your running leader and fellow runners really is the pay off that comes with running with others. We all have different goals, some of us want to get fit or lose weight; others want to improve race times or train for an upcoming event, and some of us just want some 'me time', a place to forget about everything and think about nothing! Whatever the aim, Eaglescliffe Running Group will strive to make your experience with us as personal to your specific needs as possible. There really is something for all abilities, whether you've not ran a single step in your life or you've been running for as long as you can remember. In 2013 ERG had 12 members and with the help of constant positive recommendations, success stories and a good friendly working relationship between leader and group, the company has grown rapidly with over 200 people now partaking in one or more of this company's classes. ERG now runs courses in Eaglescliffe, Yarm and Ingleby Barwick, with at least one running class on every night, and strength and nutrition classes on at least two. Each course is 10 weeks long. Men, women, and young people (aged 12-18 years old) are warmly welcomed to join the group. There is no annual fee, and prices for the courses start from £24. ERG now offers a variety of different courses such as Buggy Run, Beginner to Advanced Running, Metafit, Kettlebells and Nutrition. Runners can expect a varied range of sessions to enable running is kept fresh, and most importantly, is enjoyable to all. Many who have started out at ERG had never run before, and are now successfully running 5k, 10k and beyond. There has also been a great success for those whose goals where to lose weight (please see our Runners Success tab for some fab before and after pics!!). Email Kelly at eaglescliffe.running@yahoo.co.uk for more information.